Friday's game comes with huge playoff implications. It felt inevitable. 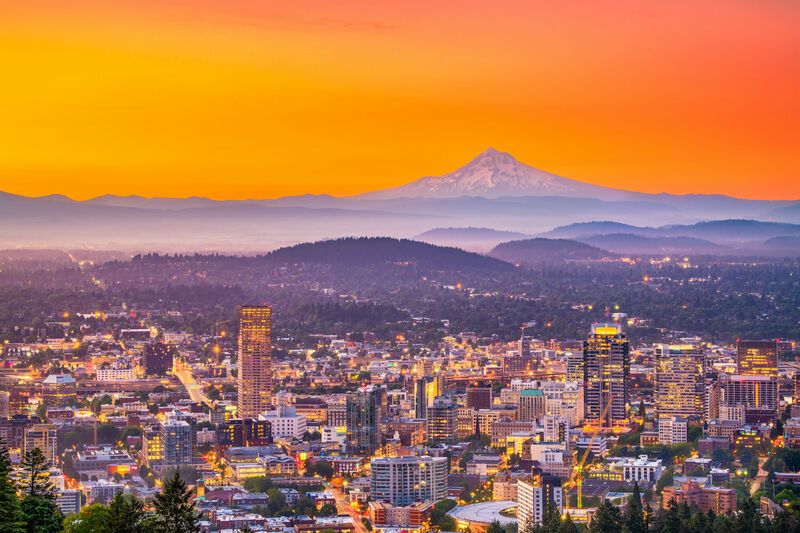 With this blog already half-written as a lament to the same-old, a tired story of Portland’s inability to beat a team and a goalkeeper at which most of the league hardly bats an eye. But then, Nat Borchers happened.This team happened. 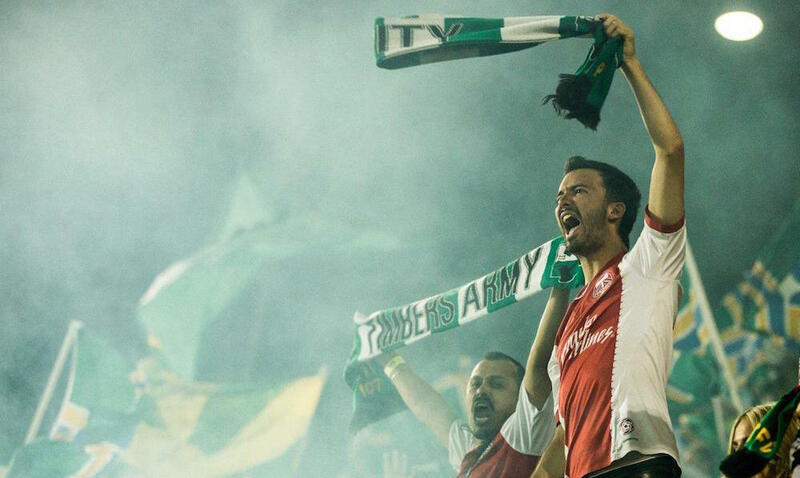 If the MLS edition of the Timbers has taught us anything – from our newest reader to the most hardened, USL-gear clad Timbers Army Original Gangster – it’s to never give up on this team. Rimando’d? A hundred times a pox on Rimando’d! RSL, you got Borcher’d. Another clean sheet extends Portland’s—and Adam Kwarasey’s—total to a league-leading eleven, two ahead of Cascadian rivals Seattle and Vancouver. The big Norwegian keeper recorded five saves, including parrying away this Luke Mulholland screamer. A shutout on the road, in a stadium that has been nothing short of a House of Horrors for the Timbers, is a significant occurrence. 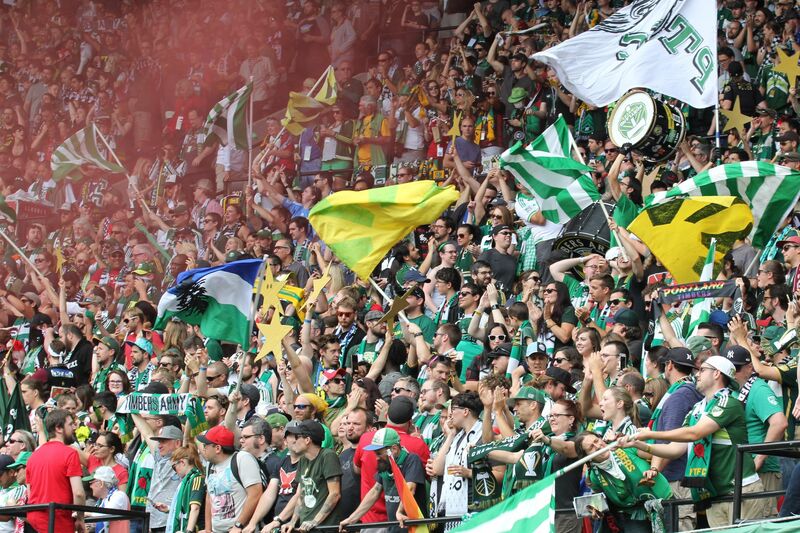 While they aren’t what they once were, there is was this thing about RSL that elevated them to Un-scalable Mountain status in the eyes of Timbers faithful. If there is one intangible takeaway from this victory, Real’s veil of invincibility has finally been lifted. Tangibly, three points earned bumps Portland up to 4th, a point out of 3rd, two points out of second, and only four points from the top. 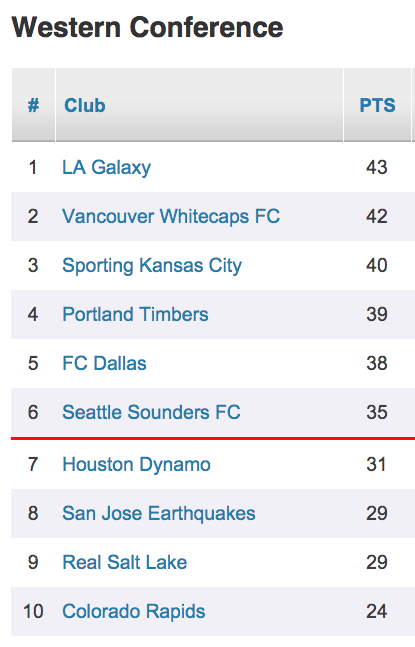 Equally important is the gap between the Timbers and the dreaded playoff red line, which has swelled to eight points. The Houston Dynamo visit the Rose City on Friday in yet another game with huge playoff implications. Owen Coyle’s Orange sit in seventh place, four points behind Seattle and the red line. Over the last six games, Houston has won three, with each W separated by a loss or draw. However, looking at the bigger picture, the Dynamo have won only twice on the road all year. Overall, the Orange have recorded 10 out of a possible 36 points away from home, scoring 8 goals, while conceding 15. Since the arrival of DP forward Erick “Cubo” Torres, the Orange have taken points in three out of their last four, despite the Mexican International recording neither a goal nor a shot in that period. 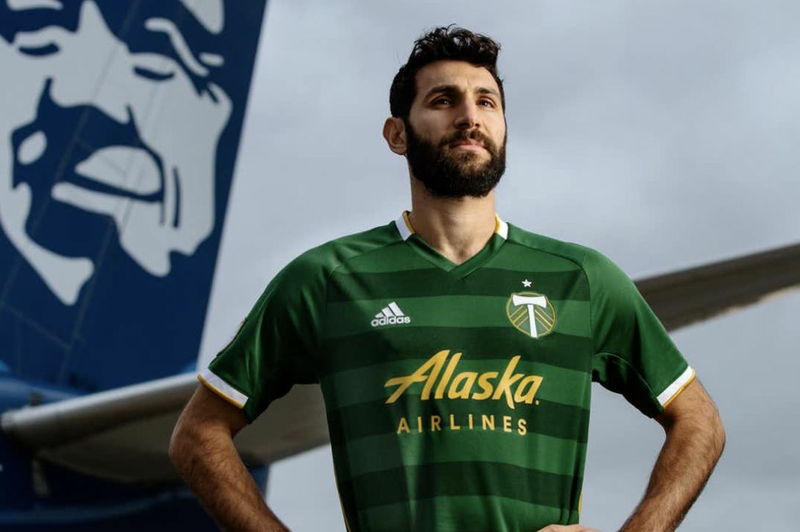 In two games so far this year, Portland and Houston have each won at home; the Timbers blanked the Dynamo 2-0 back in June at Providence Park after having lost 3-1 in Texas in May. If there ever were a game to highlight the importance of Portland holding serve at home, this is it. Portland’s 39 points from 25 games puts them dead even with their 2013 counterparts. That team finished with 57 points at a rate of 1.68 points per game. This current group averages 1.56 ppg, and needs 18 points from 9 games to equal the best-in-the-west total from a couple of seasons ago. Houston’s eternal midfielder continues to be one of its most productive players. At 33, the US International leads the Dynamo with 6 assists, and has registered a goal, 2 assists, and 8 shots over the last four games. Portland’s most prominent defensive liability remains set pieces, which happens to be one of Davis’s specialties. He isn’t always dramatically saving the day! In fact, the big red Beard is well known a model of defensive consistency. He’ll have to be on Friday, with the Dynamo coming to play defend-and-counter. The Orange will look for a few openings to exploit, like they did in May, when they needed only 45% possession to score three times on the Timbers defense. How? Counter-attack and set pieces. 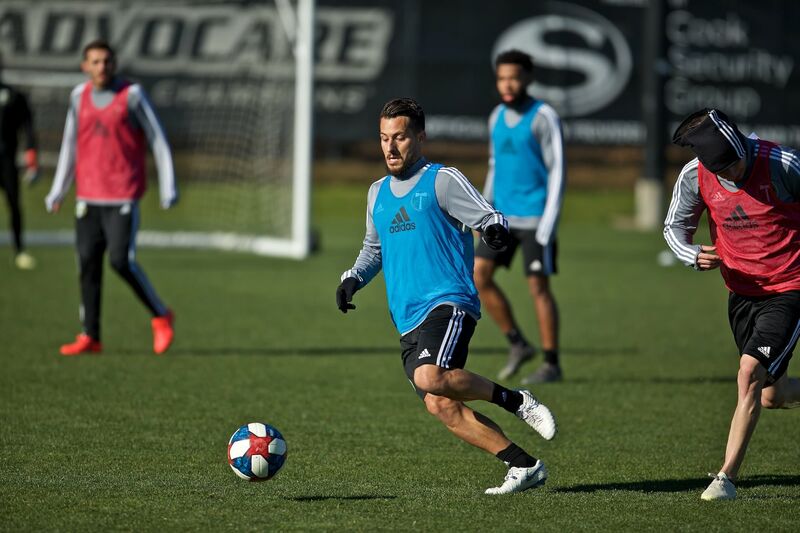 The aforementioned Davis has since been given a shiny new target to aim for in Cubo Torres, so look for Nat Borchers to have a big – perhaps unheralded - game to keep Portland’s stellar defensive home record in tact and deposit three points in the bank.